A colt by the first crop of Champion Australian Middle Distance Horse of the Year Contributer (High Chaparral), a dual Group One winner of the Chipping Norton (Gr. 1, 1600m) and Ranvet Stakes (Gr. 1, 2000m). 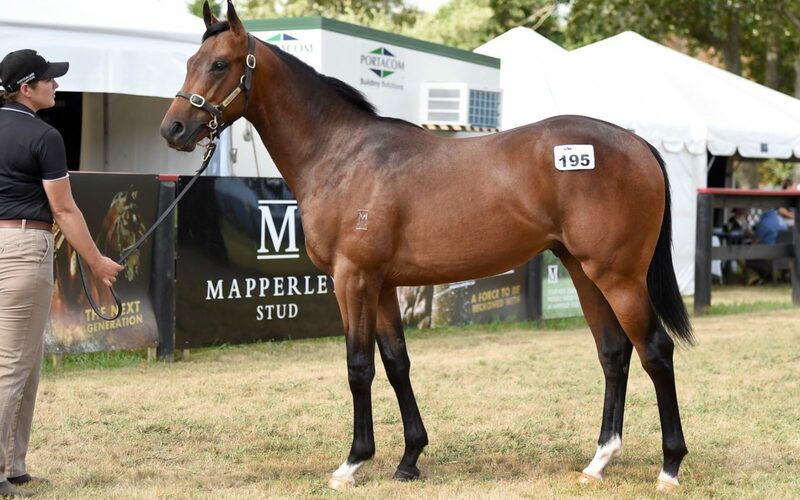 “He’s by this exciting young sire Contributer, a Group One winning son of High Chaparral that had a really good turn of foot,” said Te Akau principal David Ellis. His sire High Chaparral (Sadler’s Wells) has sired 22 individual Group One winners and already a noted sire of sire. 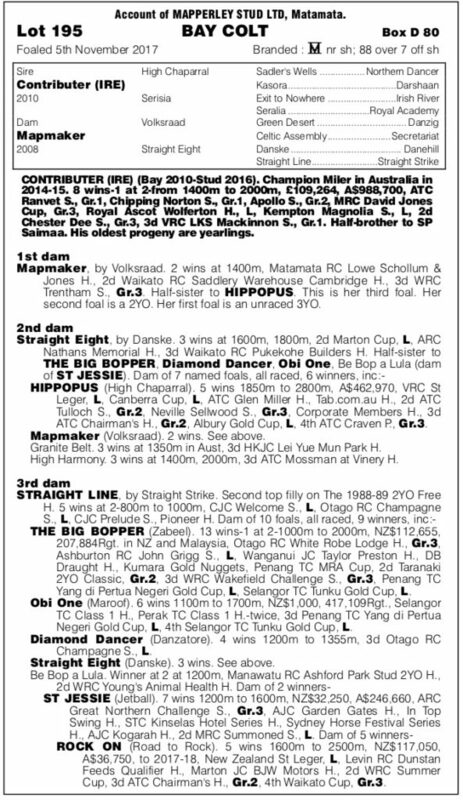 “His dam (Mapmaker) was stakes placed in the Trentham Stakes (Gr. 3, 2100m) and she’s left a nice, neat sort of horse and a later foal with a lot of improvement in him after the sale,” he said. Dam sire Volksraad (Green Desert) was a fantastic addition to the New Zealand breeding industry, leaving a multitude of impressive performing racehorses stamped by the sire with a trademark ability to accelerate. In turn, Volksraad has become a very good broodmare sire. His second dam, Straight Eight, by 2000 Guineas (Gr. 1, 1600m) Danske (Danehill), was a solid performing winner of three races that finished second in the Marton Cup (Listed, 2100m), and the third dam was by a very good stallion, Straight Strike. “We thought he was really good buying at the price and he’s a type that could show some precocity to race as an autumn two-year-old and train on as a staying horse,” Ellis said.